Need an extra boost to your immune system or some extra energy? This smoothie is packed with vitamins and minerals that will get you and your body feeling really good! 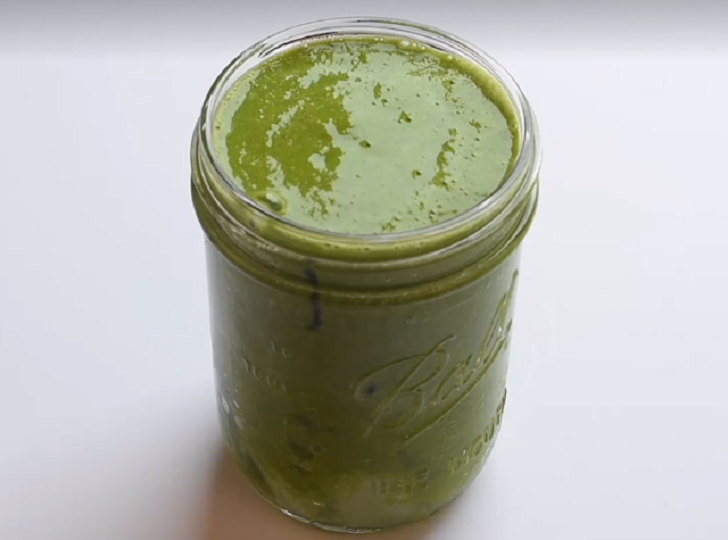 A simple combination of fresh leafy greens, flavorful fruit, and a liquid base is all it takes to create a green smoothie. We recommend starting with our beginner-friendly recipe. A powerful blender is highly recommended for this recipe. We use a Vitamix 6300 which handles this job smoothly (pun intended). Add the above vegetables, fruits, and water in that order. Blend and drink it immediately. Many of the desired micros (vitamins) begin to quickly break down, so don’t delay and consume your glass of green in order to maximize nutrient intake. Once you have developed a habit of making and drinking this daily for a few months you can move on and introduce 1 cup of kale and cut down on the spinach. It’s substitutions like these that will eventually lead to our current green smoothie recipe of Kale, spinach, broccoli, cilantro, grapefruit, apple, and banana. Be sure to stay connected with us for this and more upcoming recipes!